In October I commented on Twitter that I’d love a place to shower in Orlando International Airport after a long day at the parks. The official MCO account tweeted back there IS such a place: The Club Airport Lounge. When my plans last trip left me with three hours before boarding my flight home, I decided to try out The Club. 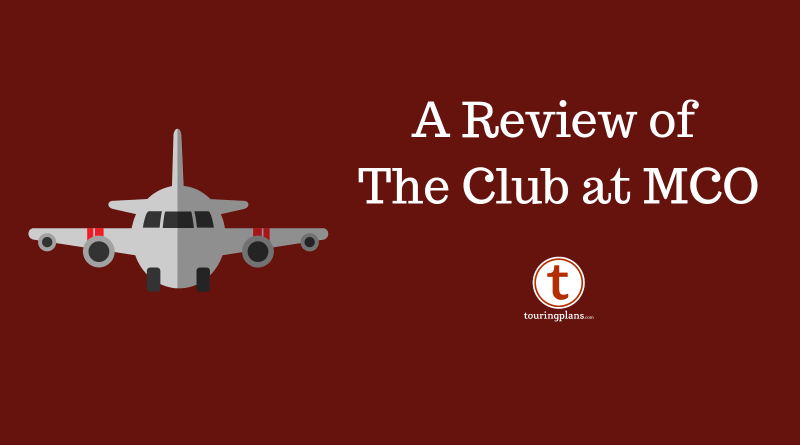 Today, I’m reviewing the offerings at The Club at Orlando International Airport, Airside 4. The Club is an independently owned and operated lounge service located around the United States and United Kingdom. Unlike airline-specific clubs, The Club offers day passes to flyers of all airlines for $40 per person plus tax (guests under 12 can get in free, thanks Phillip). Check your credit cards rewards as some cards offer admission for free (thanks Duke). The Club advises guests to book online and early; passes are valid for up to six months after date of purchase. I purchased my pass while inside Hollywood Studios prior to leaving for the airport. My flight departed from gate 107, so I purchased access to the Airside 4 lounge. Make sure you double check the location of your flight prior to purchase. I arrived around 6:15 p.m. and found the lounge was bustling but comfortable. 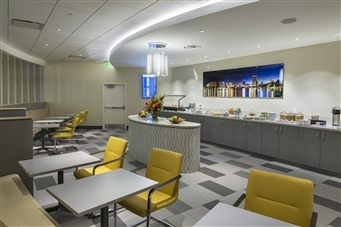 Like other lounges, The Club offers comfortable seating, high speed Wi-Fi, TVs, a child play area, and private work stations so you can spread out and relax prior to your flight. I found all the seating areas to be clean, well attended to, and bright. A small bar offers bar seating with table seating next to it. Towards the windows overlooking the airport is more lounge-style seating options. But what attracted me to The Club over posting up in Cast & Larder was the complementary food, drinks, and private shower facilities. Dining area and food options. Image provided by The Club. Salad station and food options. Image provided by The Club. Caprese sandwich, salad, and a beer. After a long day in the parks I was ready to eat and The Club offered a small, but high-quality, collection of food and snacks. 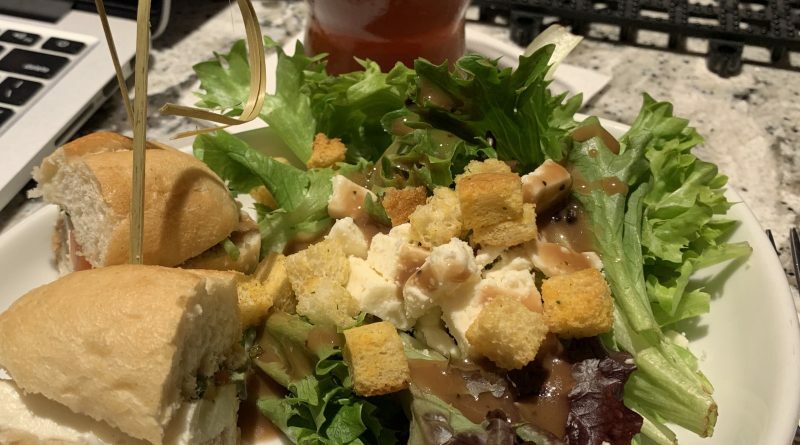 The day I visited the menu included tomato bisque soup; a salad station with fresh seasonal greens and toppings; and chicken salad BLT, mozzarella caprese, and cubanelle tuna salads. Whole fruit, granola, candies, cookies, and dessert items were offered as snacks. The food was light, fresh, and frequently replenished, but portions are on the small side. Sandwiches and plates were offered in bite-sized portions, so I found myself returning to the food station several times during my stay. Vegetarian options are available. Bar. Image provided by The Club. Complementary soft drinks, coffee, tea, and water are located next to the food station while alcohol can be found at the bar. The bar menu featured half a dozen wine choices, a dozen mixed drink suggestions, a full liquor bar, and bottled beer options (craft and domestic). Bartenders were friendly and knowledgeable but seemed to stop offering after two alcoholic drinks; this seems to be a soft limit to prevent flyers from getting too sloshed before flying, but if I asked I would have received additional drinks. Let me explain my touring style: I like to be in the parks as much as possible and optimize my arrival and departure dates. For example, this trip we checked out of our vacation home at 10:00 a.m. and toured a rainy Disney’s Hollywood Studios until 5:00 p.m. While it is fun to get one last ride on Tower of Terror, this leaves me feeling a little gross. With my extended layover in the airport this trip I figured I should freshen up for my flight back to Pittsburgh. 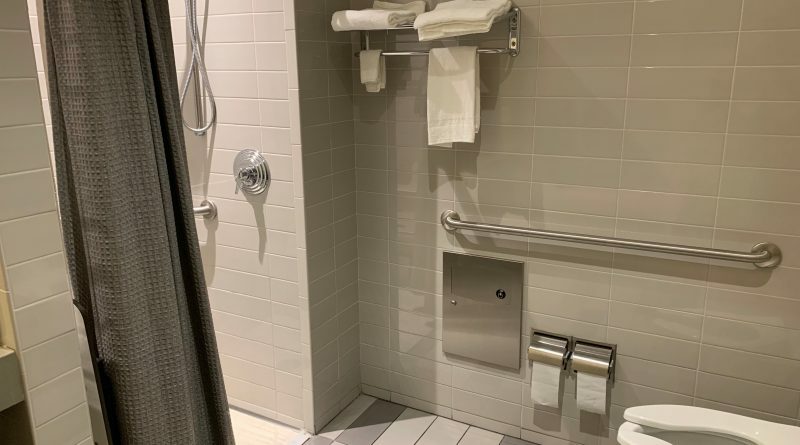 I inquired at the front desk during check in about using the shower facilities and an attendant showed me to one of two private shower rooms near the restrooms. The shower rooms are the size of a small, full bath in a standard home or apartment and were modern, comfortable, and very clean. Complementary wash cloths and towels were located next to the shower and pump bottles of body wash, conditioner, and shampoo were in the shower. 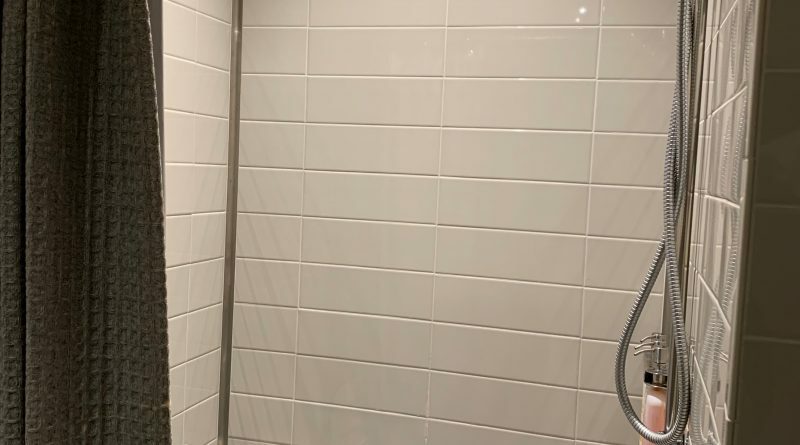 Water pressure was acceptable but the shower curtain did not fully partition off the bathroom leading to some splashing up to a foot away from the shower. Towels were serviceable but on the the thin side. Despite some small nitpicks this was my favorite offering by The Club. Those who tour before flying or fly in on a long flight and cannot check in to their hotel until later will appreciate this service. As a solo traveler The Club was a great choice for my two-and-a-half hour layover. The food was good, drinks were plentiful, and the service was friendly. If you pair up several services like I did then the $40 price is a great deal. I can see myself using The Club in the future on similar trips. Have you relaxed in The Club at MCO during your travels? Leave a comment or question below. So for a parent with a child or two children, this can work out really well. Last summer my flight was delayed four hours. My kids & I hung out in the lounge the entire time-it was a life-saver. 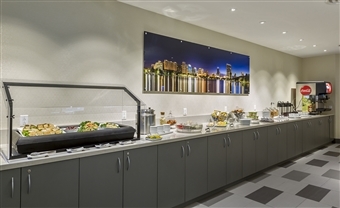 This is a benefit of some of the Amex cards, including the Hilton Ascend and Aspire. Added both of these to the article. Thanks! 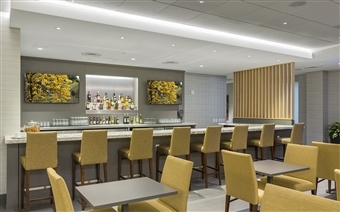 There’s a similar lounge near Gates 1-9 (JetBlue). I think the one you’ve shown here is slightly nicer. Could you please provide additional information about what the kids’ play area was like? Becky, I didn’t get to the kids play area (32 year old single dude wandering around there would set off alarms) but they do have a photo online. The other photos are representative of the lounge so I believe this will be representative of the kids area. Was it a problem getting from Terminal 4 where the lounge was to Terminal 2 where your gate was? No problem at all! The security area is for both those Airsides, so once you are through you can go to 2 or 4. Leaving The Club to get to my gate was under 10 minutes.